Industrial Safety Labels | Data Graphics Inc. Industrial Safety Labels | Data Graphics Inc. The Occupational Safety and Health Administration (OSHA) enforces workplace safety regulations, and you can get into some sticky situations with this government agency if you choose the wrong industrial safety labels. There are warning and safety labels available for any situation, ranging from the most common to the extremely obscure. You need a company with experience printing them all. Many graphics companies have catalogs featuring common labels used across different industries. 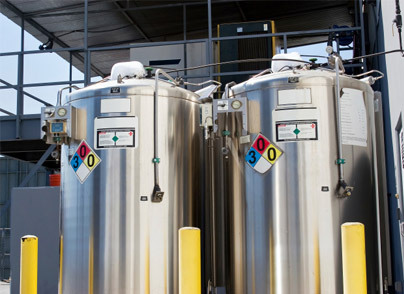 If you work in an industry where even the slightest compliance issue can lead to life-threatening consequences, you need a company with the experience developing these specific labels that account for unique risks. Our experienced team can even help you develop a specific warning label unique to your business operations. Choose a company with decades of experience adhering to the latest and most intense safety standards. We feature the Underwriters Laboratories PGDQ2-special designation on many materials, which is the Highest UL Designation offered. We are continuously expanding that advanced designation to other materials. Our team at Data Graphics Inc. can print industrial labels from a vast array of materials, giving you the most options for quality, longevity and price. This includes polyester labels, flexible vinyl labels, polycarbonate (plastic) labels, aluminum labels, Metalphoto®, magnetic labels and glow-in-the-dark labels. Our labels also come in several formats, including rolls, sheets and individual pieces. You can order labels in virtually any shape and size. Any label can be custom-made to fit any type of job. Labels that come on a roll can be square cut, rectangle cut, oval cut, circle cut or cut with a custom-made die. 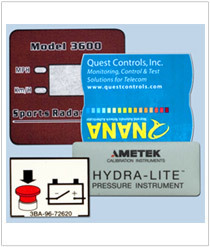 Labels can be screen printed, digitally printed, flexo printed, or hot stamp printed. Want to learn more about our safety label printing options? Reach out to a Sales Engineer to see your best options. We’ll guide you to the ideal label that meets all your safety standards. 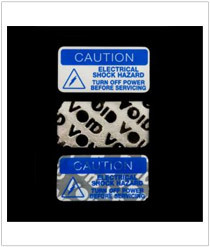 Browse our items below to see a sample of the safety labels we’ve created for big-name clients!